Do you think the Gold Bull Market has returned? Obviously I do…and have been trading as if the Gold Bull Market has returned. 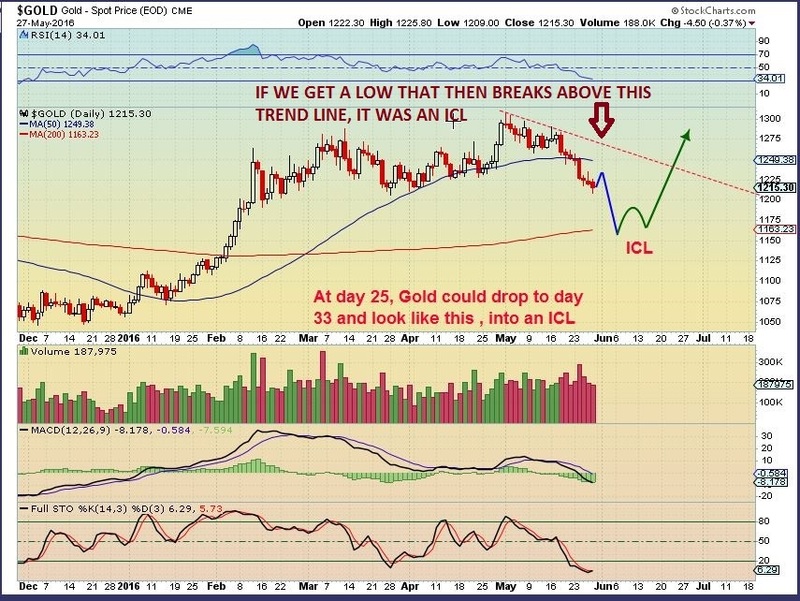 You need to be aware of this opportunity and appreciate that another big move in this Gold Bull Market is again developing. 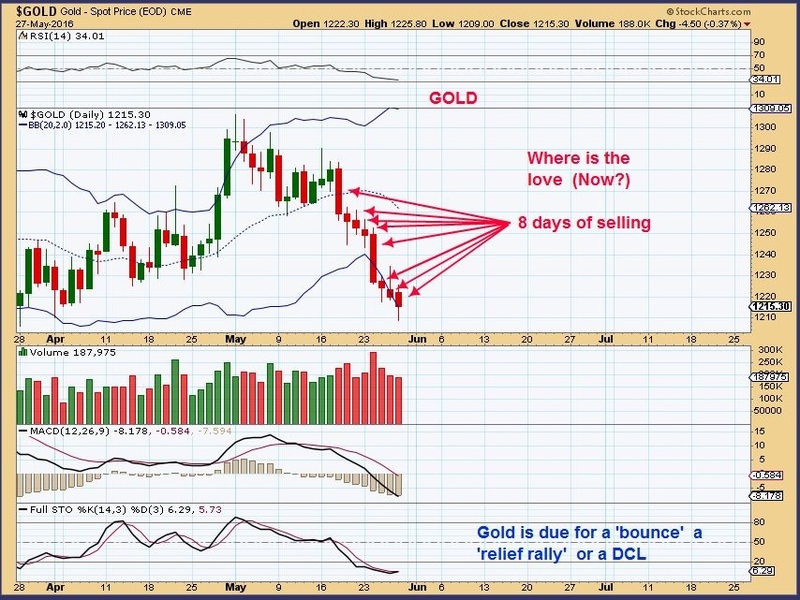 If this next move is anything like the moves seen during past Gold Bull Market’s, then you will not want to miss the next buying entry after this current correction winds down. 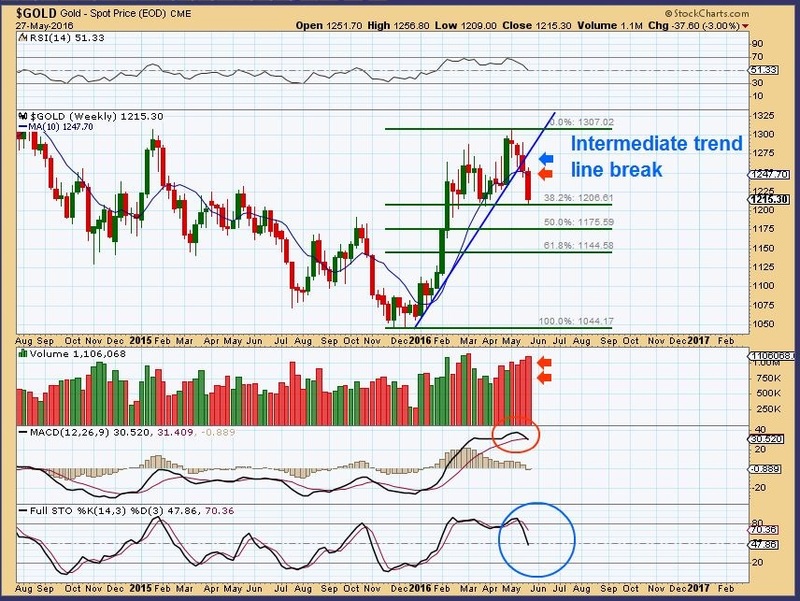 I was able to successfully guide Chart Freak members through the recent 100% rally in gold miners, when we bought the lows back in the middle of January. Those gains were exceptional, to say the least. In some cases, junior miners soared by 500% off the lows, and are now consolidating those gains in preparation for the next leg higher. That presents an interesting conundrum. 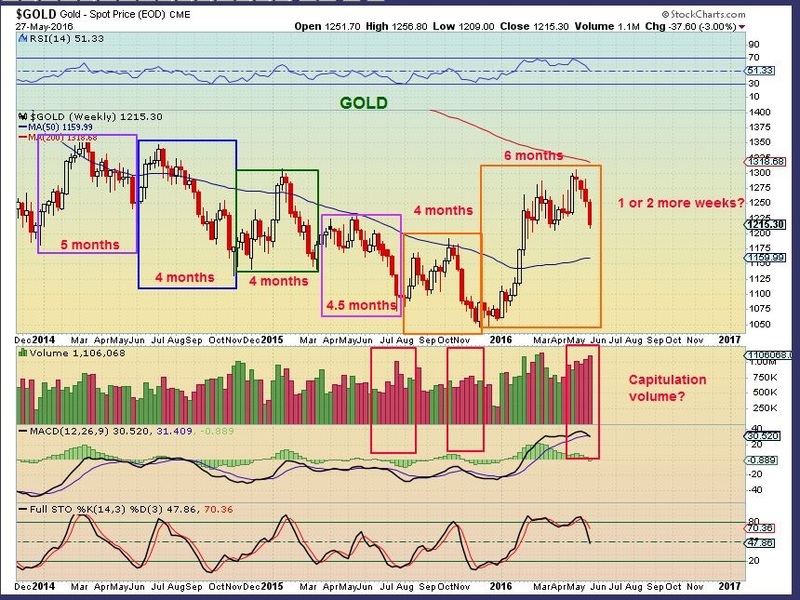 Gold should be ready to rally timing wise, since it will normally rally out of meaningful lows every 4-5 months. Now we see the gold price ( dropping and we know it has already been 6 months since the Dec lows, making it due for the next meaningful low. 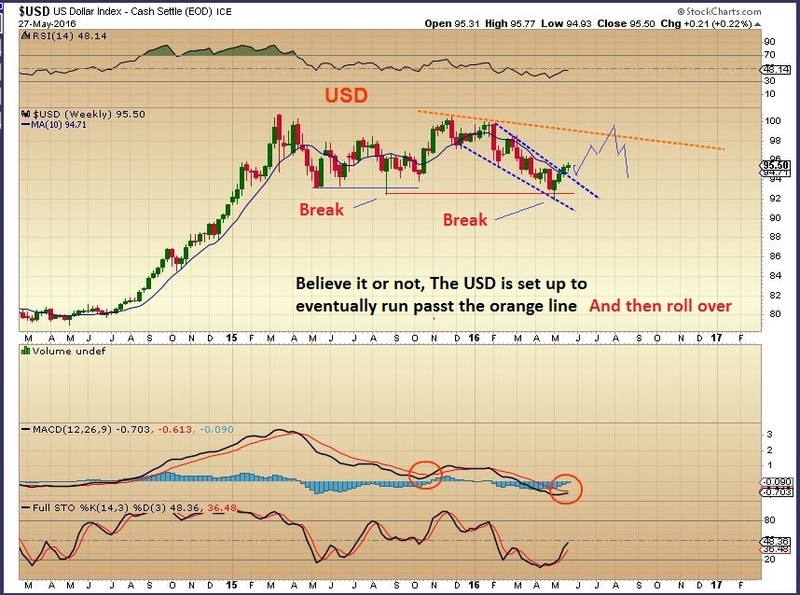 Can it rally with the $USD set to go higher?